Revel Casino and Hotel confirmed Tuesday that it's folding its cards next month, after less than two years in business. The house does not always win in Atlantic City. In fact, a fourth casino in the gambling mecca is closing down this year. Revel Casino and Hotel confirmed Tuesday that it's folding its cards next month, after less than two years in business. That means 3,100 employees will be out of work by Sept. 10. "We regret the impact this decision has on our Revel employees who have worked so hard to maximize the potential of the property," parent company Revel Entertainment Group said in a written statement. 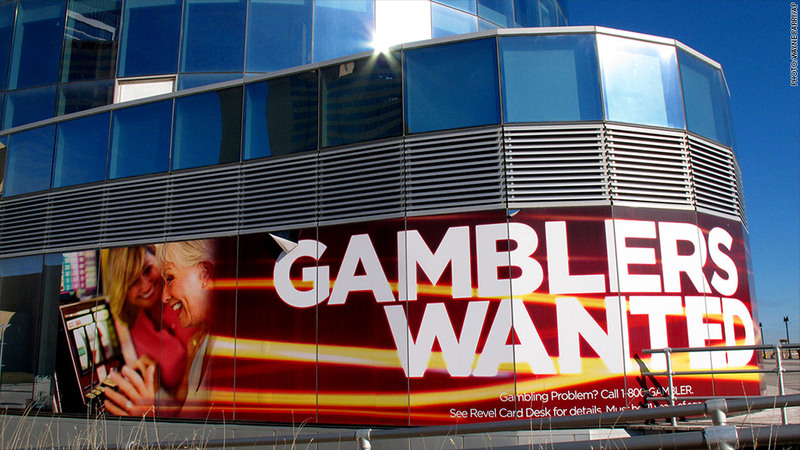 Revel, which has filed for bankruptcy protection twice, said it has tried and failed to sell the casino. "While we continue to hope for a sale of Revel, in some form, through the pending bankruptcy process, Revel cannot avoid an orderly wind down of the business at this time," said the company. Related: Trump to Atlantic City casinos: "You're fired!" Revel is just the latest casino in Atlantic City, NJ, to go bust. Altogether, nearly 8,000 workers in the city's gambling industry will lose their jobs this year. The Atlantic Club Casino Hotel shut down in January, putting 1,600 people out of work. Showboat is closing on Aug. 31, which means 2,100 people will lose their jobs. And the Trump Plaza Hotel and Casino, which employs 1,046 workers, plans to shut down in mid-September. The boardwalk empire looks to be crumbling: Annual revenue for the city's casinos fell 6.2% last year to $2.9 billion. But all is not lost for the gambling industry. Gamblers have been flocking to Las Vegas. MGM Resorts (MGM), owner of the Bellagio and MGM Grand, reported strong earnings, with hotel occupancy rates soaring to 96% even as they charge higher rates for rooms.